The visit to South Africa by Brazilian Defence Minister Celso Amorim in March has further stimulated defence ties between the two countries. He held official discussions with South African Defence and Military Veterans Affairs Minister Nosiviwe Mapisa-Nqakula, as well as having a private conversation with her for about an hour. The official talks covered a range of topics, including the A-Darter project, the Zone of Peace and Cooperation in the South Atlantic, defence cooperation within the India, Brazil, South Africa Dialogue Forum (Ibsa) – which includes the Ibsamar trilateral naval exercise series – peacekeeping courses, cooperation between the two country’s Special Forces and the Atlasur (South Africa, Argentina, Brazil and Uruguay) naval exercises. Mapisa-Nqakula praised the performance of Brazilian General Carlos Alberto dos Santos Cruz in command of the United Nations Stabilisation Mission in the Democratic Republic of Congo (better known, from its acronym in French, as Monusco). 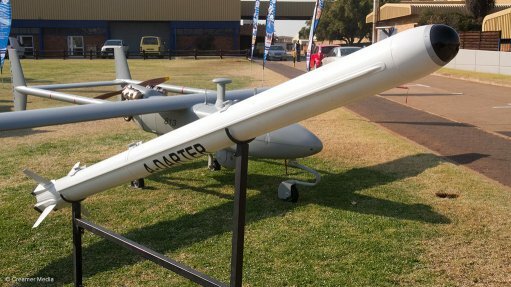 The A-Darter is an advanced infrared homing air to air missile being jointly developed by the two countries, under the leadership, on South Africa’s side, of the State-owned Denel Dynamics company and, on the Brazilian side, by the Brazilian Air Force’s Combat Aircraft Programme Coordinating Committee. Both sides agreed to continue this programme. They also expressed the desire to develop further cooperation in the missile field. In this regard, the two Ministers discussed a possible new missile projects, which would involve the setting up of new teams to execute them. There is also a mutual desire to further develop cooperation more generally in defence technology research and development. This could include a greater emphasis on the exchange of information and indeed of technologies. Cooperation between the two countries’ Special Forces is currently focused on the South Africans sharing their experiences from the 2010 FIFA World Cup with their Brazilian counterparts. Brazil is shortly going to host the 2014 FIFA World Cup. The Special Forces of the two countries are, however, organised differently. In South Africa, all Special Forces are centralised under the Chief of the South African National Defence Force in a single Special Forces Brigade. However, in Brazil, the navy, army and air force have their own Special Forces units. In terms of purely naval affairs, this month will see talks, in South Africa, between the Brazilian and South African naval staffs. The next iteration of the Atlasur exercises, Atlasur X, will take place off the southern coast of Brazil, while the next trilateral exercise under Ibsa, Ibsamar IV, will take place in South African waters in October. Both are biennial events. A major development in bilateral naval cooperation happened in March, when South African Navy (SAN) submariners underwent training in the Brazilian Navy’s Submarine Escape Training Tank at the Admiral Áttila Monteiro Aché Training and Instruction Centre in Niterói, in Rio de Janeiro state. South Africa does not have such a facility, which allows submariners to practice escaping from a sunken submarine. (Only a few navies around the world have such facilities.) In return, the Brazilian submarine force was eager to learn of the SAN’s experience with women submariners – currently, all Brazilian submariners are men. The Brazilian Navy also operates a submarine rescue ship and holds regular submarine rescue exercises. The next is scheduled for July and the SAN has been invited to send observers.